Yeh Hai Mohabbatein Shocking accusations. 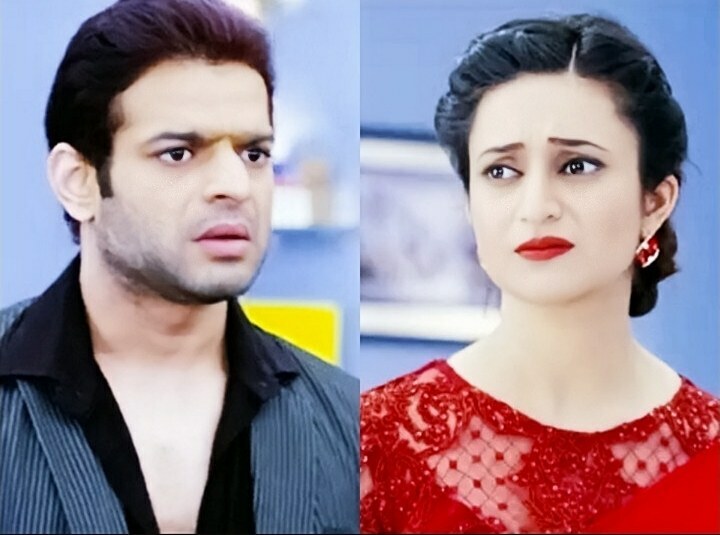 Ishita and Raman get much worried for Aaliya’s miserable mental condition when she behaves mad while talking to an imaginary person. Aaliya tells Yug that she will handle the matter and help the woman. Ishita calms down Aaliya and lies that she can see the woman. Raman tells Aaliya that they can also see the woman, they believe her completely. They get disturbed seeing her shocking state. Yug tells Aaliya that he will take the woman to the police station, while she can go home. Aaliya doesn’t want to take his help. Aaliya goes violent once again and collapses when things go against her. Doctor confirms that Aaliya is really hallucinating and her psychological problem is getting worse. He warns the Bhallas against leaving Aaliya alone, which can put her life in danger. Ishita yells at Yug for taking Aaliya out by not understanding her sensitive state. Yug apologizes to her. He really didn’t know the outcome of his mistake. Yug cries out his true love for Aaliya. He tells Ishita that he can never imagine to harm Aaliya. Ishita blames him for pulling Aaliya into this mental trauma. She accuses him for ruining Aaliya’s life. She asks him to keep his concern to himself, since he has made much harm to Aaliya. He asks her to forgive him, since he didn’t rush this to happen. Rohan barges into Bhalla house and accuses Yug for drawing Aaliya to this level of insanity. He wants Yug to leave. Raman favors Yug and wants him to stay in his house. He asks Rohan to stay away from Aaliya. He doesn’t want Rohan’s drama to badly affect Aaliya. Raman and Sudha get into a clash because of Rohan and Aaliya’s relationship. 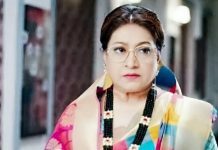 Sudha takes a stand for Rohan when Raman reprimands him. Sudha falls sick. Rohan realizes that Sudha is suffering because of him. Karan scolds Rohan for siding away from Sudha. He doesn’t admire Rohan, who proves that he is not loyal to his family. He asks Rohan to beg to Aaliya to accept her. He turns bitter towards Rohan. Karan tries to put some sense in Rohan’s mind. Rohan feels miserable to see his family upset. He leaves with his family. Raman and Ishita get into an argument. Raman blames Ishita for calling Rohan home and informing him the matter. Ishita tells Raman that she isn’t at fault, Yug is responsible for Aaliya’s mental disorder. Raman tells him that only Yug can help them. Ishita doubts on Yug’s intentions. Raman wants Yug to live with them and help them in making Aaliya recover. Yug becomes a reason for their fight. He apologizes to them. Ishita tells Yug that Aaliya loves Adi and he knows the fact that he isn’t Adi. She asks him to stop cheating Aaliya. She scolds him for ruining Aaliya’s life and now putting a drama of repentance. Raman asks her to give a chance to Yug who has saved Aaliya. He tells her that they can’t blame Yug always, he can help Aaliya in such a weak phase. Raman accuses Ishita for pushing Yug away, just like she has pushed Adi away from them by taking his life. He asks her if her guilt of killing Adi is revived by seeing Yug in front of her. She gets heartbroken by Raman’s blames. She leaves the Bhalla house. Yug doesn’t want Raman to suffer. He wants to leave the house too. Raman doesn’t let Yug leave. He tells Ruhi that he will convince Ishita. Meanwhile, Sudha gets suffering because of Rohan. Karan is angered seeing Rohan concerned just for Aaliya. Karan asks Rohan if he is blind and can’t see their mum’s sickness. Rohan fails to balance his responsibilities. Karan asks Rohan to back off and just go to Aaliya. Ishita is unhappy with Yug’s presence. She wants to lessen the problems. She tells Raman that she will not forgive him so easily.